Turnstiles: available in two versions as single units used with access controls in medium industrial plants or double units for large industrial plants. They are completely secure at operating and can be combined with any other access control systems. 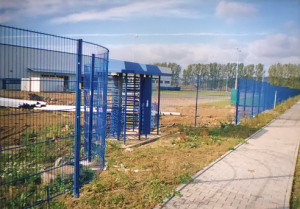 Tripod Turnstiles: three-armed access gates, positioned either separately or in rows (4-6 units). Fully secure and also can be combined with any other access control systems.